Coutinho says that Liverpool manager Jurgen Klopp now has a very difficult task on his hand to pick the XI for every game, considering the squad is almost fully fit. Adam Lallana is now available for selection, meaning the only long-term first-teamer injured is Nathaniel Clyne – and we’re very well covered at right-back anyway considering the rise of Joe Gomez and Trent Alexander-Arnold. In Klopp’s current first-choice XI, the likes of James Milner, Daniel Sturridge, Emre Can, Alex Oxlade-Chamberlain and Lallana can’t get a start – indicative of our strength in depth. “I think we’re a very focused team. We have a lot of players who are now coming back from injury, that’s important for the group,” Coutinho told Liverpoolfc.com. Adam Lallana has yet to make an appearance for Liverpool this season. “This is a period in which there are a lot of games, it’s a very important period so all of the players are all very focused – there are a lot of big games. “It gets ever more difficult for the manager to pick the starting XI because in training you can see everyone has got great quality and everyone is giving their utmost. “So, that’s good for keeping the team strong and, as I said, we’ve got players coming back from injuries like Adam among others. 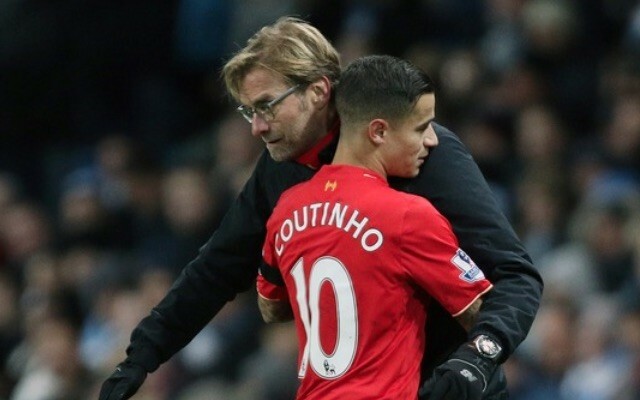 What interests us most is whether Klopp will try to play both Coutinho and Lallana in Liverpool’s ‘no.8 roles’. With Coutinho deeper in the midfield three, the boss has preferred the box-to-box solidity of Gini Wijnaldum on the right of Henderson – but fielding Lallana here would be much more exciting. He probably offers enough defensive contribution for it be realistic, too.